As we approach the start of Q3, we embark on a special time of year that has major implications for every member of growing organizations who have responsibilities for hitting revenue targets. For those who have hit your numbers in Q1 and Q2, congratulations (for now) and for those of you who missed your numbers, it is important that you pay attention to the message we are about to share. While struggling reps, managers and leaders may start coming up with excuses as to why they are behind, and believe me the excuses will start coming, top 5% of sellers know exactly what they need to do NOW to ensure they still meet their Q3 and Q4 2017 targets. We recently attended an AA-ISP event hosted by the Silicon Valley Chapter in San Mateo, CA that concluded with the exact same message we are about to share. 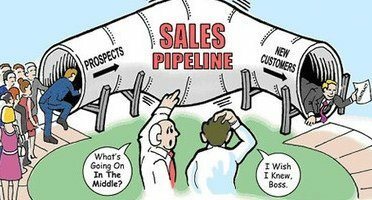 Sales organizations today are blessed with an arsenal of sales acceleration, enablement and training technologies/solutions. When these tools are used correctly, this can make a huge impact on a companies ability to scale quickly. However, even after making the investment in tools and training, managers and leaders fail to hit their targets. After completing all of your Q1 and Q2 win/loss analysis and determining that you need more opportunities, do not blame marketing, do not blame the lack of technologies you have available to you, take ownership and GET YOUR PIPE RIGHT. If you are depending on someone else to bring you the opportunities you need to meet your sales targets, you deserve to miss your targets. Revenue is directly related to the number of opportunities YOU are working which is directly related to the number of opportunities YOU are creating, which is directly related to the number of sales conversations YOU are having on a daily basis. If you want to be a top 5% seller, stop making excuses and start putting in the work that that drives the results and get you that high six figure on target earnings salary you deserve! Take a moment to develop your dream list of 100 accounts in your territory that need your product or service. Find the people who own the decision to purchase your product or service (hint, look at your previous closed won opportunities and who was involved in the decision-making process / signed the agreement). Finally, pick up the phone and call them. If you find that it is impossible to get through over the phone, then try other channels like email, social media, direct mail, events, etc. If you are not picking up the phone first, you are wasting time and losing out on opportunities. Good luck starting off Q3 , We are looking forward to hearing from those of who have hit their numbers and those who are going to start picking up the phone to make sure they hit their 2017 number! The top 5% are already doing this.